Protesters in various cities around the world demonstrated support for the anti-government protesters in Iran. 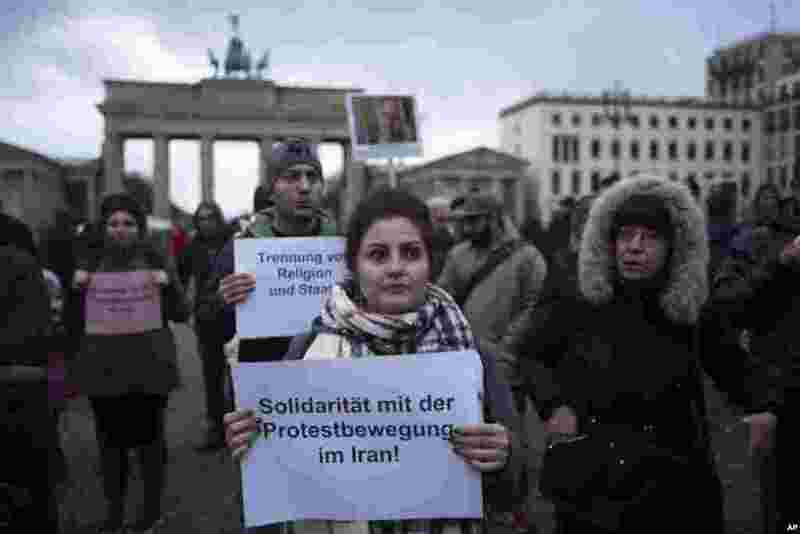 1 Demonstrators protest against the current government in Iran in front of the Brandenburg Gate in Berlin, Jan. 2, 2018. 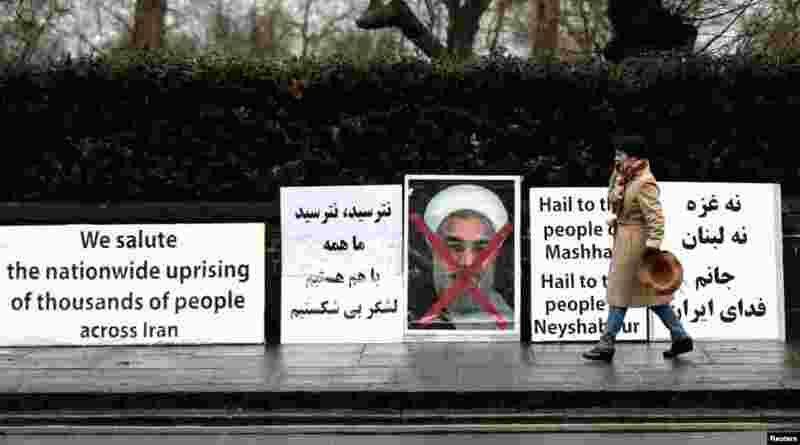 2 Opponents of Iranian President Hassan Rouhani hold a protest outside the Iranian embassy in west London, Britain, Jan. 2, 2018. 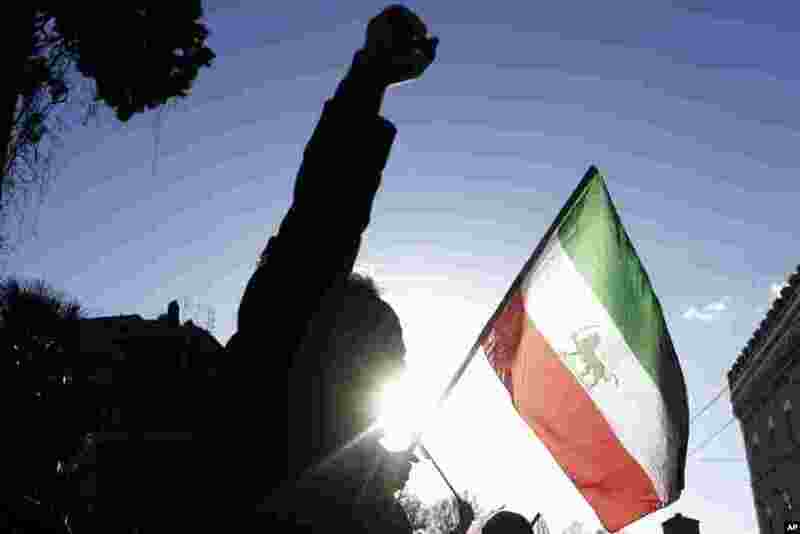 3 A demonstrator shouts slogans near the flag of the former Imperial State of Iran as he gathers with supporters of Maryam Rajavi, head of the Iranian opposition group National Council of Resistance, outside the Iran Embassy, in Rome, Jan. 2, 2017. 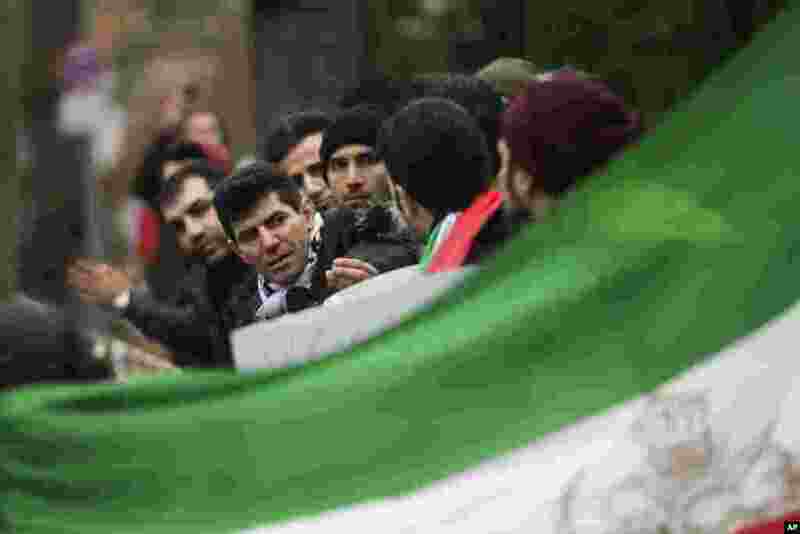 4 Demonstrators protest against the current government in Iran near the Iranian embassy in Berlin, Germany, Jan. 2, 2018.